The Tigard and Tualatin high school ski teams wrapped up Metro Ski League competition at Mt. Hood Meadows on Feb. 24. The girls raced slalom and the boys raced giant slalom on Easy Rider race venue. The Tigard boys bounced back after a sixth-place finish in Race No. 4. They finished strong, taking second place in giant slalom, just ahead of Sunset and Oregon Episcopal School. Tyler Olson led the way for Tigard, finishing fourth with combined time of 45.23 seconds. Ryan Barlow finished seventh with time of 46.18, Luke Wargo finished 10th with time of 46.77, each contributing to the combined second-place team time. Nathan Saier finish 19th, Nour Rahal-Arabi finished 32nd and Mitchell Atwood finished 37th. The Tigard girls finished in third place again with combined team time of 3:02.11, 3:46 seconds behind second-place Jesuit. Emma Wihtol finished with a season-best fifth-place performance, leading the girls with a combined of 59.95. Ashley Belden finish 11th with time of 1:03.12. Emily Sverdrup also finished with a season high 13th-place finish and time of 1:03.98. Sarah Gentry finished third for the first run and 21st overall with time of 1:11.44, contributing the remaining team time. Nikki Yusem finished in 26th place with combined time of 1:18.96. The Tualatin boys finished in seventh place, just behind Southridge and Beaverton. Taylor Jordan led the way with a 20th-place finish and time of 48.49. Kit Jordan finished in 25th place with time of 49.22. Jeff Jost finished in 33rd place with time of 49.22. Kai Depp finished in 35th place with time of 51.24. Max Mitchell finished in 36th place with 51.59. The Tualatin Girls also finished in seventh place for the day with combined time of 3:42.78. Isabel Juliana led the team with a 14th-place finish and combined time of 1:04.26. Caylum Tippett finished in 19th place finish and time of 1:09.41. Hope Pringle finished in 31st place with time of 2:18.64. Megan Jost finished with the 29th fastest first run time of 37.58 also contributing to the combined team time. OES girls finished first overall with a combined time of 2:51.32. Samantha Woodring from OES finished in first place for individual girls with time of 49.80. Jesuit boys complete a perfect season finished first again. Hayden Mills from Jesuit had the top individual time for the boys finishing in first place. During the morning winter weather hit with full force. The result was cancelation of the afternoon boys slalom and girls giant slalom races due to low visibility and too much snow accumulation on the course, and an end to the Metro League race season. For the second year in a row both the Tigard boys and girls teams qualify for the OISRA State Championship Race which will be held at Mt. Bachelor on March 8-9. The Tigard boys finished out the year in second place with 72 points, putting them behind just Jesuit. The Tigard girls finish in third with 70 points, behind Jesuit and OES. The combined Tigard team finished in second place behind Jesuit and well ahead of third-place OES. For individual girls, Gentry finished in third place overall and Wihtol in eighth place. For individual boys, Olson finished in fourth place and Ryan Barlow finished in seventh. Each were recognized as top 10 finishers at the Metro League awards ceremony on Feb. 28. Tualatin combined Boys and Girls team finished in fifth place for the season with both the boys and girls teams finishing in sixth place individually and just missing state qualification as a team. Jost, Jordan, Juliana, Tippett and Jost each qualified for the state race as individual. Juliana and Jost were the highest Tualatin individuals finishing in 11th and 12th place for girls and boys. 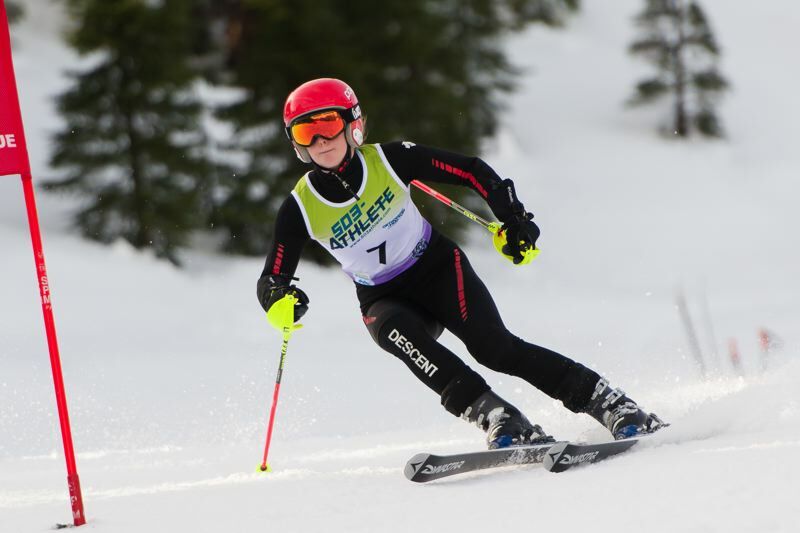 Tigard and Tualatin racers will compete with best alpine ski racers in the state at Mt. 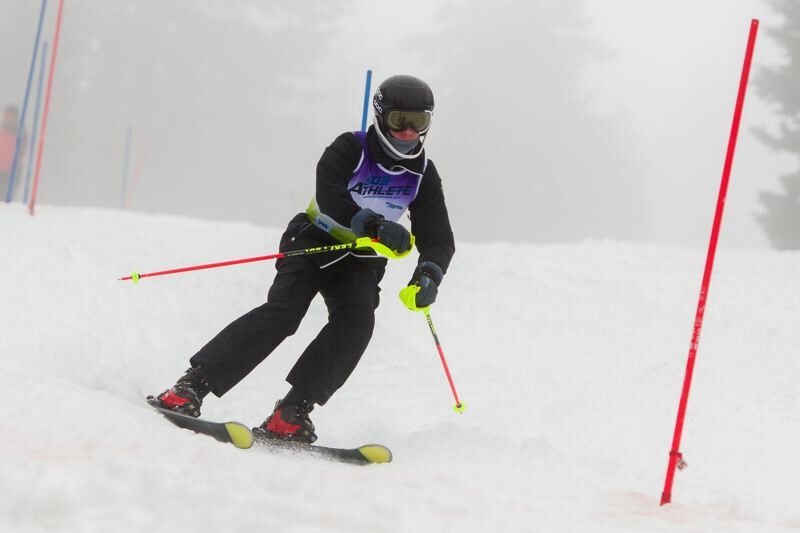 Bachelor in the Oregon Interscholastic Ski Racing Association State Championship Race on March 8-9.